Pablo Ruiz y Picasso was born on October 25, 1881 in Andalusia. Although he was Spanish, he spent most of his life in France, which was the center of art during his time. Pablo Picasso was not only a painter, he was also a ceramicist, a printmaker, playwright, poet, stage designers and a sculptor. You could say that Picasso was an art genius and a very prolific artist. During his 75-year career, he produced an estimated 13,500 paintings, 300 sculptures and ceramics, 34,000 book illustrations and 100,000engravings and graphic prints. One of the greatest and most influential among the 20th century artists, he co-founded the Cubist movement and helped explore and develop various styles and techniques. He co-invented the art of collage and was the inventor of constructed sculpture. Together with Marcel Duchamp and Henri Matisse, they were in the forefront of the revolutionary developments in plastic arts and made highly important developments in sculpture, ceramics, painting and printmaking. Based on Spanish law, Picasso’s name included those of his parents, as well as names of relatives and saints. His full name was Pablo Diego José Francisco de Paula Juan Nepomuceno María de los Remedios Crispiniano de la Santísima Trinidad Picasso Ruiz. He was from a middle class family. His father was also a painter who specialized in realistic painting of birds and other game animal. Picasso was an art prodigy. He received formal training in art from his father at the age of seven. His lessons were in oil painting and figure drawing. His father taught him to copy the works of masters and draw the human figures using live models as well as plaster casts. Picasso was more absorbed in his art lessons than in classwork. From his father, he learned to be very precise in his techniques. His family moved to Barcelona in 1895 when his father joined the faculty of the School of Fine Arts in the city. He was able to persuade the officials of the school to allow Picasso to take the entrance exam for the advanced art class, which normally took a month to finish. It only took Picasso one week to finish his exam and the jury admitted him. He was only 13 years old at that time. To allow him to concentrate on his work, his father rented a room for him but checked up on his son several times a day, which became the source of their constant arguments. With his advance knowledge, his father and his uncle sent him to Spain’s premiere art school, the Royal Academy of San Fernando in Madrid by the time he was 16. But he was not one to enjoy formal instruction, a carry-over from his youth and after a short time, he stopped attending classes. There were many things to occupy his time. The Museo Nacional del Prado was a fascinating place for the young artist, where he discovered the works of Francisco Zurbarán, Francisco Goya, Diego Velázquez and other masters. He developed a fondness for El Greco’s works. The master’s elements in his paintings, like the mystical countenances, the stunning colors and the elongated limbs were found in some of Picasso’s works. The early works of Picasso was a far-cry from the works he did in the latter part of his career. When he was young, his paintings were realistic. His continued experimentation with styles and techniques resulted in different styles, which could be categorized into several periods. At the age of 15, at the request of his uncle, he painted the portrait of his Aunt Pepa in oil. His aunt was a grouchy and very religious spinster who rarely went out. It was a dramatic and dynamic portrait. With the play of light on her face, and the darkness of the dress and the background, Picasso was able to capture the very essence of his aunt’s character. Spanish art critic Juan-Eduardo Cirlot called it one of the greatest paintings in the entire history of Spanish art. The painting is on display at the Museu Picasso in Barcelona. 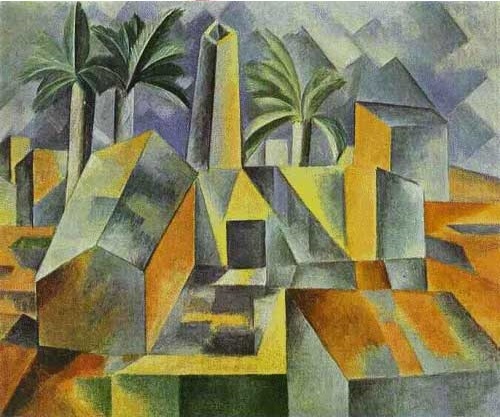 Picasso’s works were categorized in several periods, showing the evolution of his styles and techniques due to various influences and his own experimentation with several ideas, techniques and theories. The Blue Period was from 1901 to 1904. From 1904 to 1906 was the Rose Period. It turned into the Africa-influenced Period from 1907 to 1909. The period of Analytic Cubism started in 1909 and lasted until 1912 while the Synthetic Cubism was from 1912 up to 1919. Somber paintings done is various shades of blue and blue green with other colors characterized his Blue Period. He produced several paintings with the recurrent theme of emaciated mothers and children during this period. This was in contrast to the Rose Period where the subjects were predominantly harlequins, acrobats, and other circus people. Most of the paintings Picasso created during this period were in various shades of pink and orange. With Georges Braque, Picasso developed Cubism. Initial works used neutral colors and monochromatic browns. They took objects apart and analyzed shapes. The two artists also added parts of newspapers and wallpapers into their work, introducing the use of collage. 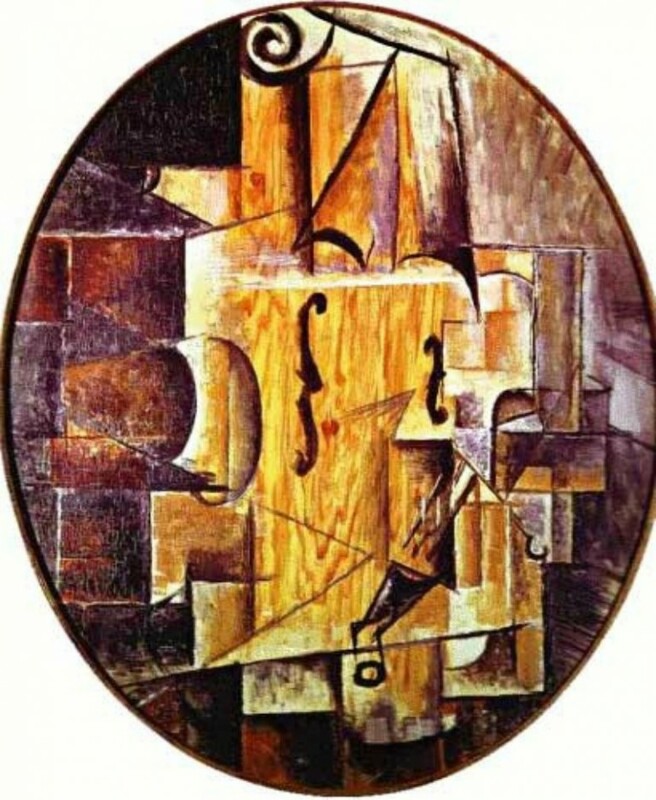 Cubism allowed Picasso and Georges Braque, as well as the subsequent artists that were influenced by this movement, to focus on how art could be viewed in several ways, angles and dimensions. The cubes, squares, triangles and rectangles challenged the minds and the eyes of both artist and viewers to look at the full image in different ways and interpret them in how they perceive the painting. Most famous among his thousands of works are Guernica, The Old Guitarist and his first abstract (cubist) painting, Les Demoiselles D’Avignos.